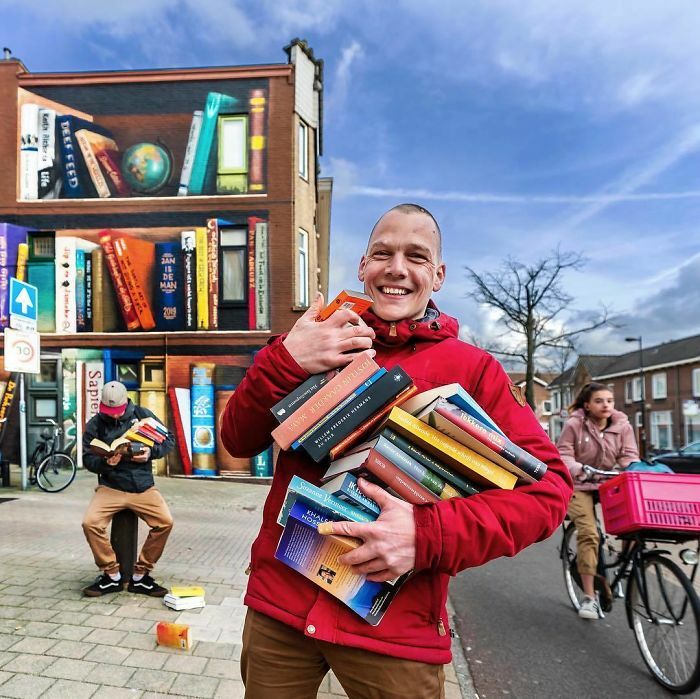 While many street artists choose abandoned buildings and old train tracks as the canvases for their explosive masterpieces, Dutch street artist Jan Is De Man chooses to go another route – by realizing lively works for local communities who want to connect. 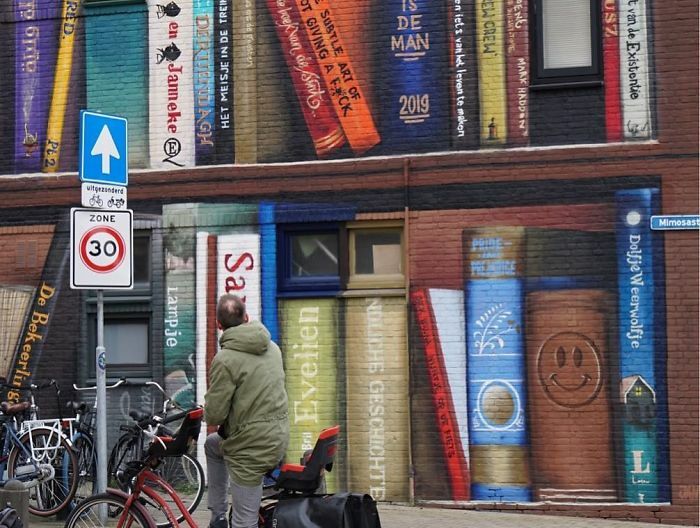 His aim is to create projects ‘where everyone can identify themselves’ by asking for the involvement of the residents’ who commission him. 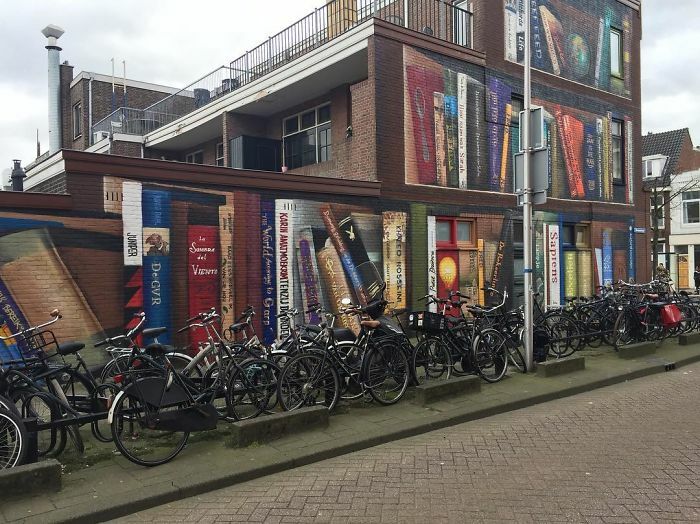 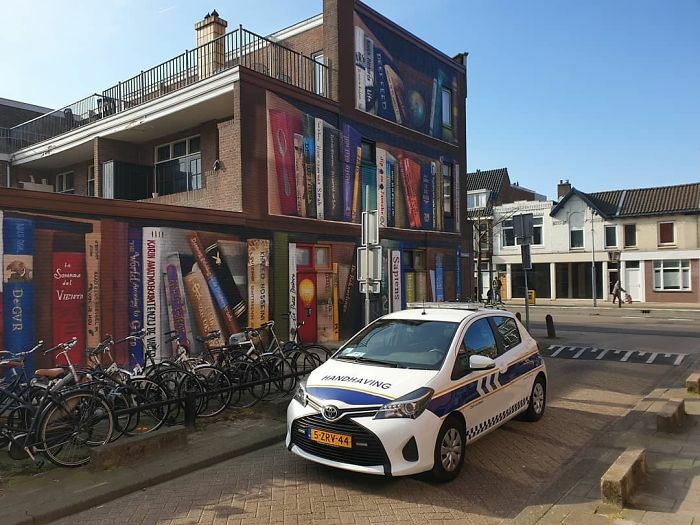 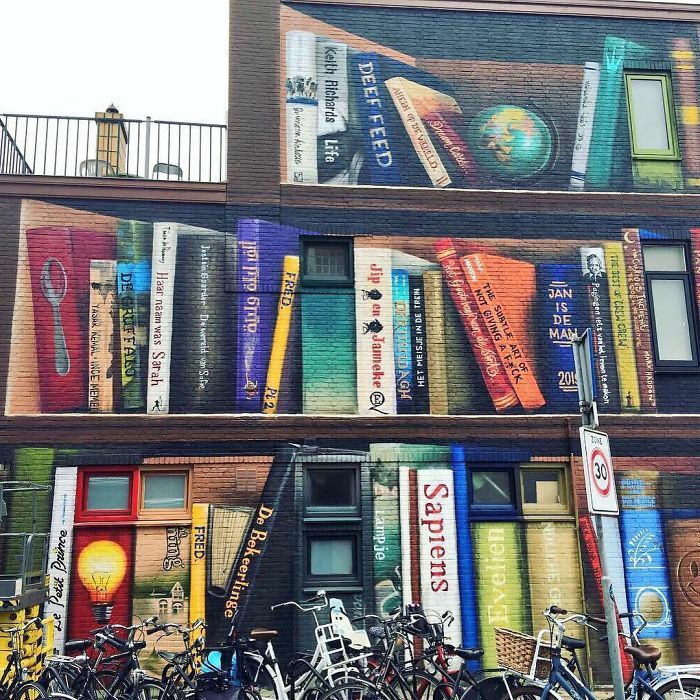 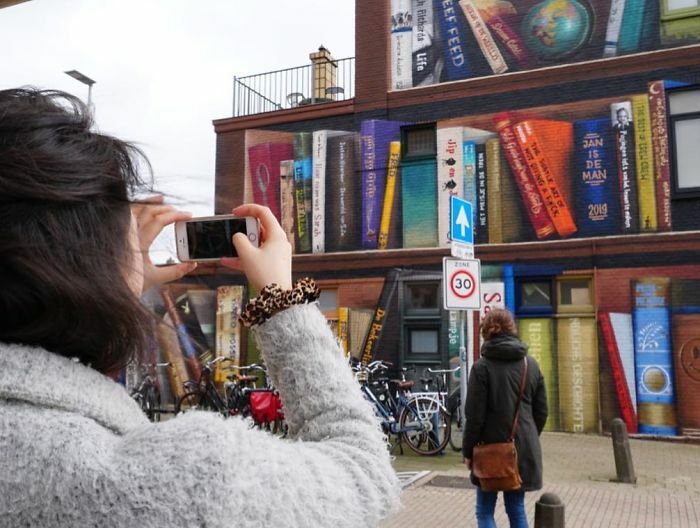 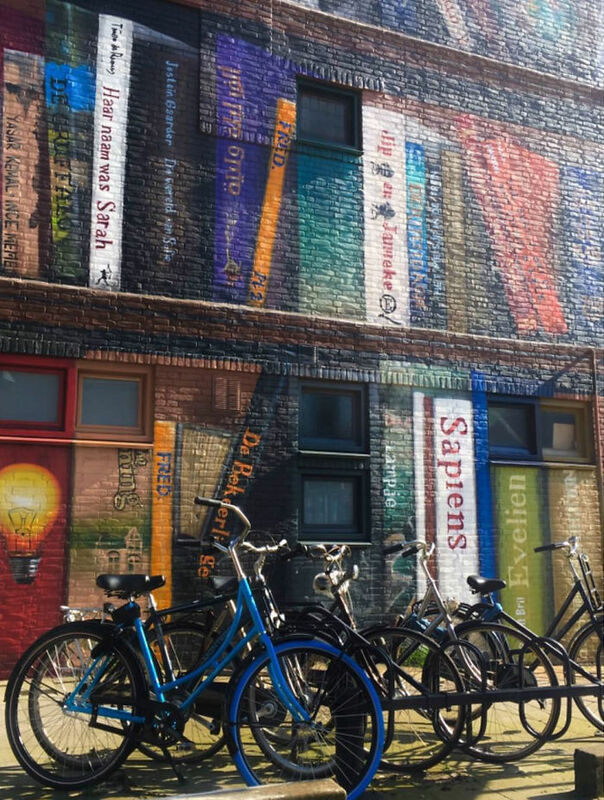 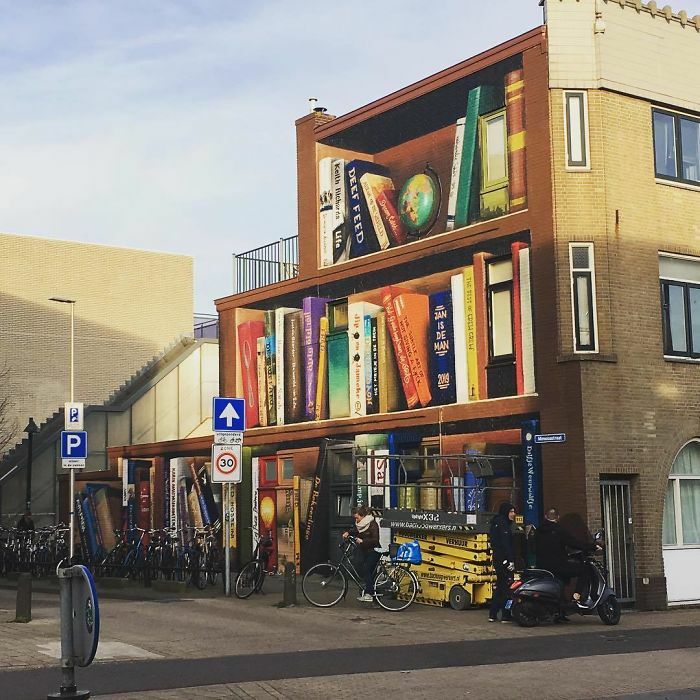 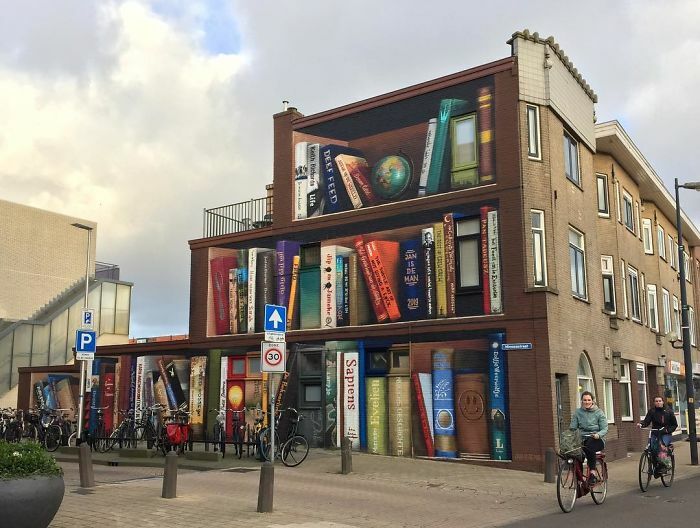 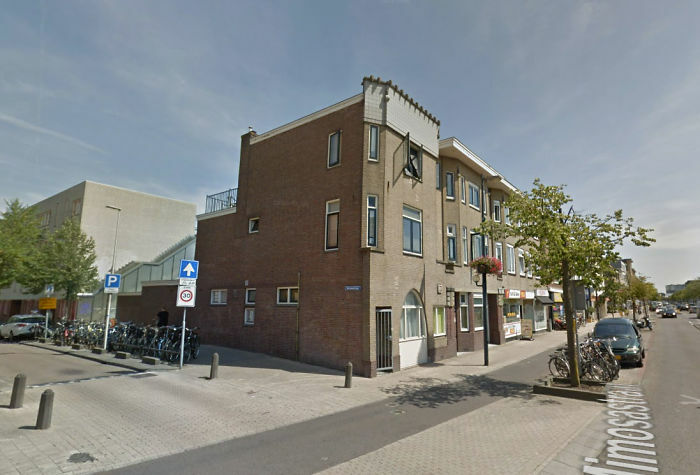 Jan Is De Man’s most recent gift to a neighborhood – a whimsical tri-level trompe l’oeil mural bookcase on an apartment building in Utrecht, Netherlands. 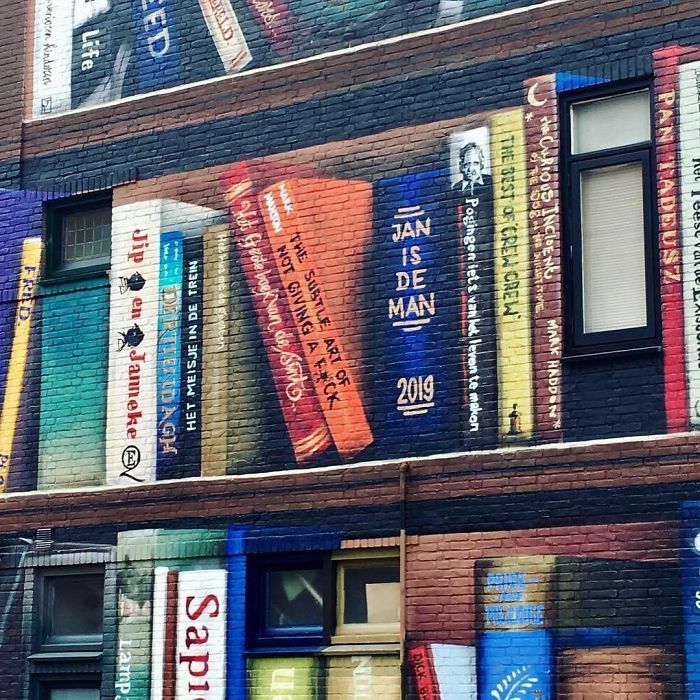 The artist was aided by fellow street artist Deef Feed who, he told Bored Panda, had worked on a few other murals with him and is the co-owner of their tattoo shop “Blackbook Tattoos” in the center of Utrecht. 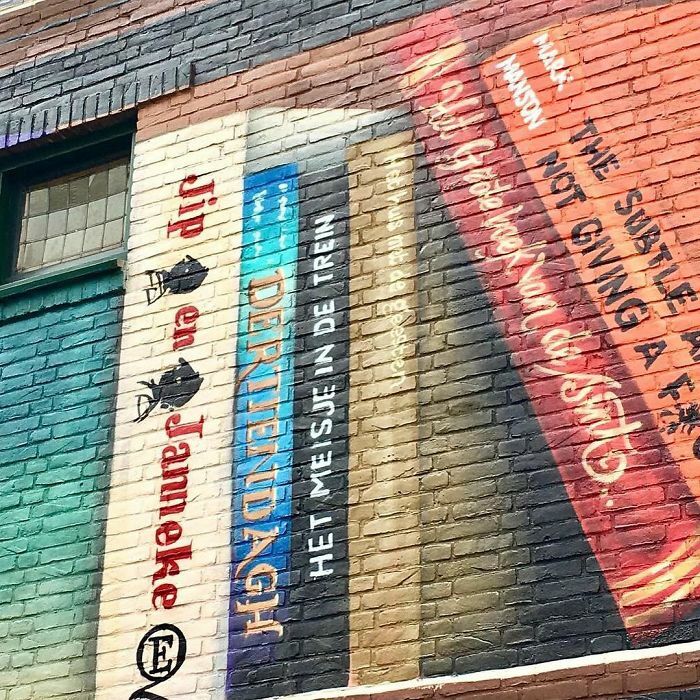 So what’s up next for this muralist? 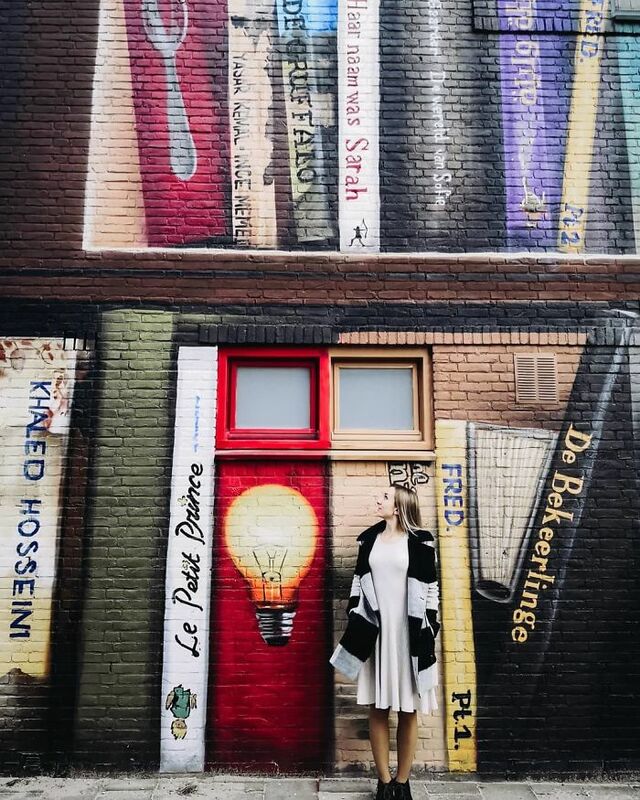 “there is a lot of things coming, but I don’t like to tell plans, because I believe that if you tell your plans they don’t work. 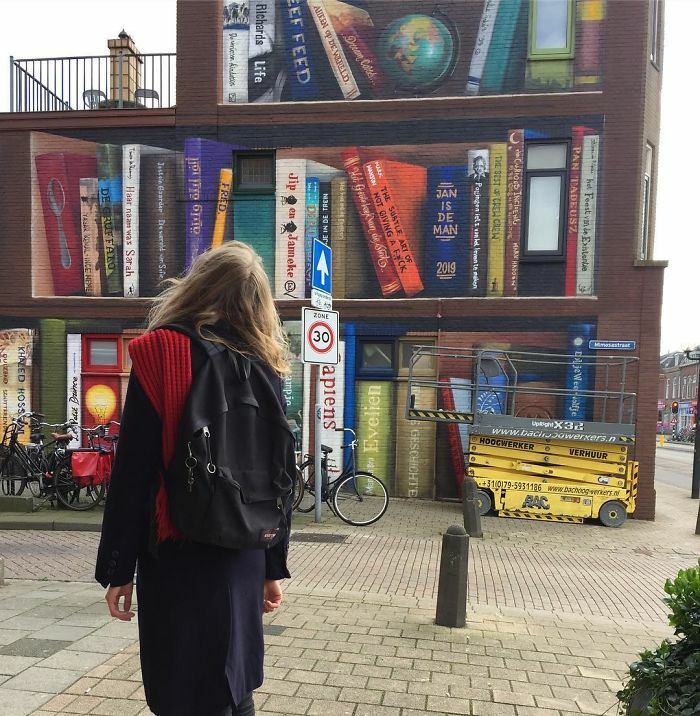 It sounds corny, but in the end, actions speak louder than words.” Well we can’t wait to see what he comes up with.